One of Africa’s leading universities is working with one of Europe’s leading medical science and technology companies to address the shortage of cancer doctors on the continent of Africa. Merck confirms it is starting the first Merck Africa Medical Oncology Fellowship Programme for African countries south of the Sahara in partnership with University of Nairobi, Kenya. The program will be conducted at University of Nairobi and is part of the company’s efforts to improve access to cancer care and strengthen the healthcare system in emerging markets. In a first step, Merck will sponsor nine medical doctors from African countries such as Kenya, Uganda, Tanzania, Ethiopia and South Africa for a period of two years. The program will be extended to other African countries in the following year. Moreover, Merck will support another five African doctors to participate in a paediatric and adult medical fellowship program, which will be held annually at Tata Memorial Hospital, Mumbai, India. This program will start in August this year. “We are committed to improving patient’s access to healthcare all over the world”, said Rasha Kelej, who as Chief Social Officer of the healthcare business sector of Merck leads the implementation and coordination of activities, designed to have a positive impact on societies in developing countries. Mr Kelej points out that in many African countries, oncologists are few and far between. He says Merck wants to work with teaching hospitals across the continent with the aim to increase the number of qualified oncologists. Merck over the past years has significantly stepped up its activities on the African continent with an expected doubling of sales by 2020. In addition to its cancer drug Erbitux, which made Merck is a pioneer in targeted cancer therapy, the company is also making fast progress in the field of immuno-oncology, aimed at mobilizing the body’s own immune system to fight cancer. 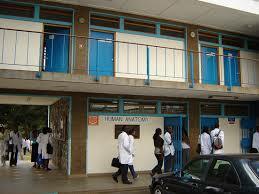 The shortage of oncologists threatens cancer care in Africa. According to World Health Organization (WHO), by 2020 there are expected to be 16 million new cases of cancer every year, 70% of which will be in developing countries where governments are least prepared to address the growing cancer burden and where survival rates are often less than half those of more developed countries. According to research done by Merck, Kenya only has 13 oncologists, most of them based in Nairobi for a population of 47 million, which means one oncologist per 3.6 million people. For reference, in the UK there are around 13 oncologists per 1 million people. Moreover, in Ethiopia there are only four oncologists, all based in Addis Ababa for a population of around 100 million inhabitants.